Miguel Roberts/The Brownsville Herald Five-year-old Wuilman of Honduras enjoys a hot meal Friday at La Posada Providencia Sister of Divine Providence in San Benito after reuniting with his mother in Brownsville after 30 days of being separated. Leaning against a white pillar in the lobby of the Brownsville South Padre Island International Airport, 24-year-old Dunia gazed beyond the bustling line of people going through security as she waited for the 10:42 a.m. American Airlines flight to arrive Friday. She appeared mostly calm, though her clasped, fidgeting hands perhaps betrayed her anticipation. 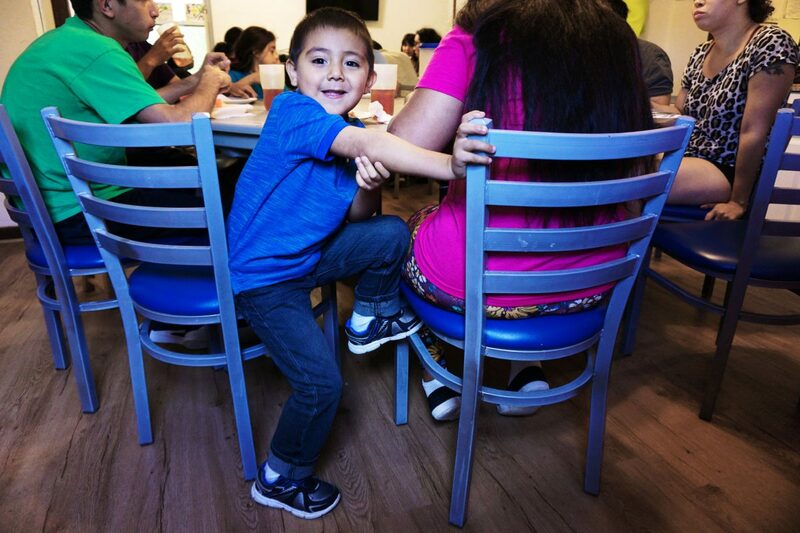 It would be the first time Dunia laid eyes on her 5-year-old son, Wuilman, since early June, when they were separated after crossing into the Rio Grande Valley via the Rio Grande. Dunia, who was a stay-at-home mom, said they left Honduras by bus in May to seek asylum and escape the violence caused by drug traffickers who killed her father and cousin. 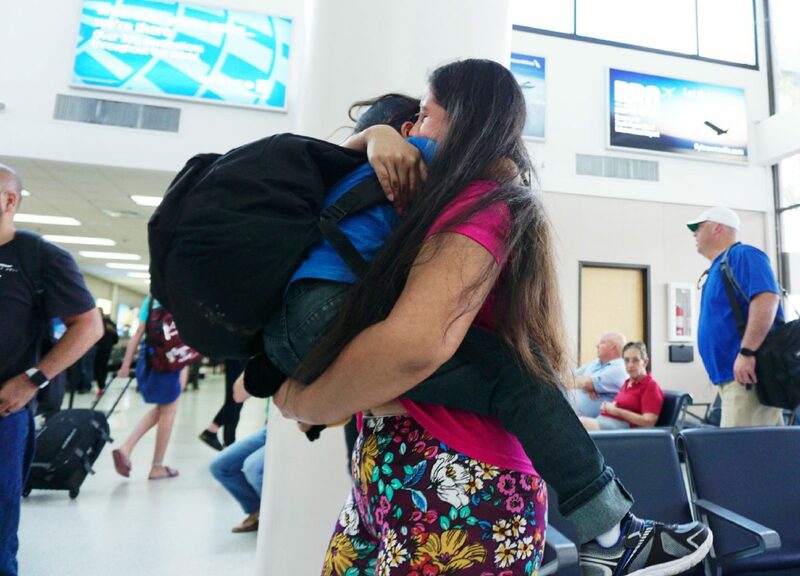 Miguel Roberts/The Brownsville Herald Twenty-four-year-old Dunia of Honduras embraces 5-year-old son Wuilman on Friday at Brownsville South Padre Island International Airport as they reunite after being separated from each other for more than 30 days. She crossed with her son and 8-year-old niece, who were sent, respectively, to Los Angeles and New York while she was held at the McAllen detention center. They had hoped to join family in Philadelphia. They were separated the same day they crossed, Dunia said, and she didn’t speak to Wuilman for 15 days or know where he was. “It’s very difficult to be separated from my son. I had never been separated from him before, but thanks to god for giving us the strength,” she said.